DALLAS (HOODLINE) — Want the dirt on Dallas’s most happening local spots? We took a data-driven look at the question, using Yelp to discover which local businesses have been in the limelight this month. Open since June, this cocktail bar, sushi bar and pan Asian spot is trending compared to other businesses categorized as “Cocktail Bars” on Yelp. Citywide, cocktail bars saw review counts increase by a median of 2.9 percent over the past month, but Imoto saw an 18 percent increase, maintaining a strong four-star rating throughout. Moreover, on a month-to-month basis review counts increased by more than 370 percent. It’s not the only trending outlier in the cocktail bar category: Merchant House has seen a 21.7 percent increase in reviews. Whether or not you’ve been hearing buzz about Northeast Dallas’s Ruins, the bar and Mexican spot is a hot topic according to Yelp review data. While businesses categorized as “Bars” on Yelp increased their review count by a median of 2.4 percent over the past month, Ruins bagged an 11.9 percent increase in reviews within that timeframe, maintaining a strong 4.5-star rating. It significantly outperformed the previous month by gaining 2.0 times more reviews than expected based on its past performance. There’s more that’s trending on Dallas’s bar scene: Bishop Cidercade has seen a 10.7 percent increase in reviews. Open at 2653 Commerce St. since April, Ruins offers a menu full of Mexican, Caribbean and South American inspirations, including tacos, tortas, salads, tapas-style items and serves breakfast daily until 3 p.m. Don’t forget to order off the drink menu, which has agave, rum from 10 different nations and other spirits and beer from Central and South America and the Caribbean. Northeast Dallas’s #getfried fry cafe is also making waves. Open since May at 2656 Main St., Suite 130, the traditional American spot has seen an 11.8 percent bump in reviews over the last month, compared to a median review increase of 2.5 percent for all businesses tagged “American (Traditional)” on Yelp. Moreover, on a month-to-month basis review counts increased by more than 200 percent. 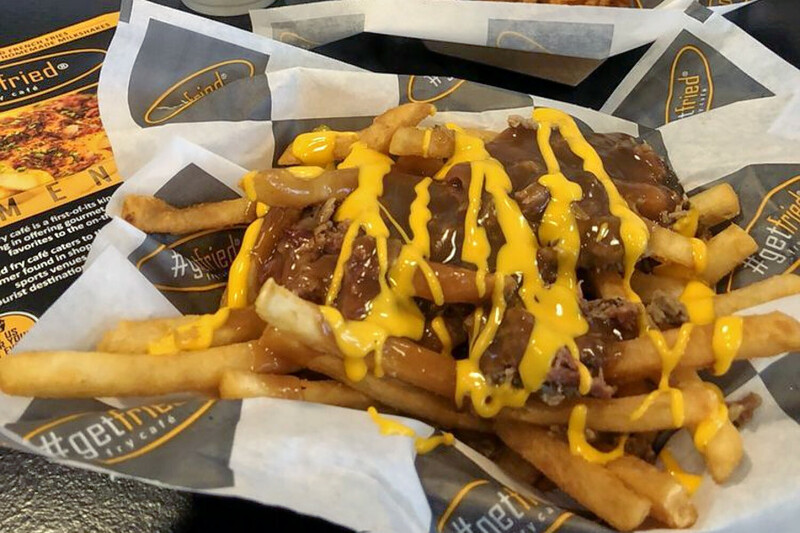 #getfried fry cafe offers french fries topped with sirloin, sauteed onions, sweet peppers, mushrooms and melted cheese, as well as pulled pork or chicken and barbecue sauce and more. The menu also has finger foods like buffalo crunch rolls, chicken fingers and burgers. 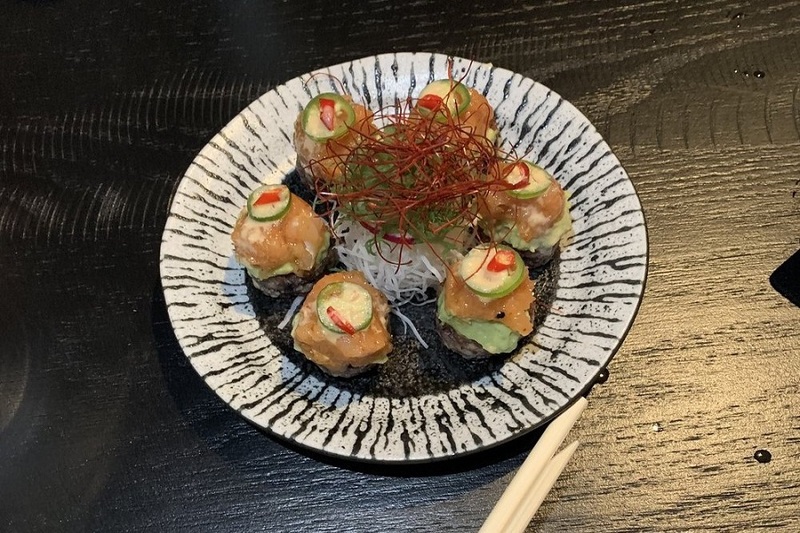 Over the past month, it’s maintained a solid four-star rating among Yelpers. 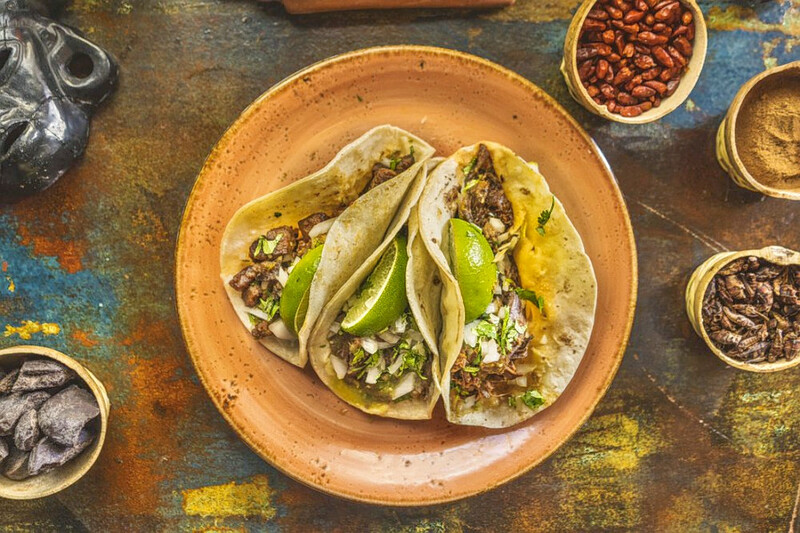 Northeast Dallas’s Vidorra is the city’s buzziest Mexican spot by the numbers. It’s not the only trending outlier in the Mexican category: Twisted Trompo has seen a 12.7 percent increase in reviews. Northeast Dallas’s well-established Unleavened Fresh Kitchen is currently on the upswing in the breakfast and brunch category on Yelp. While businesses categorized as “Breakfast & Brunch” on Yelp increased review counts by a median of 2.5 percent over the past month, this breakfast and brunch spot, which offers salads and sandwiches, increased its by 6.7 percent—and kept its rating consistent at 4.5 stars. Review counts increased by more than 380 percent on a month-to-month basis. 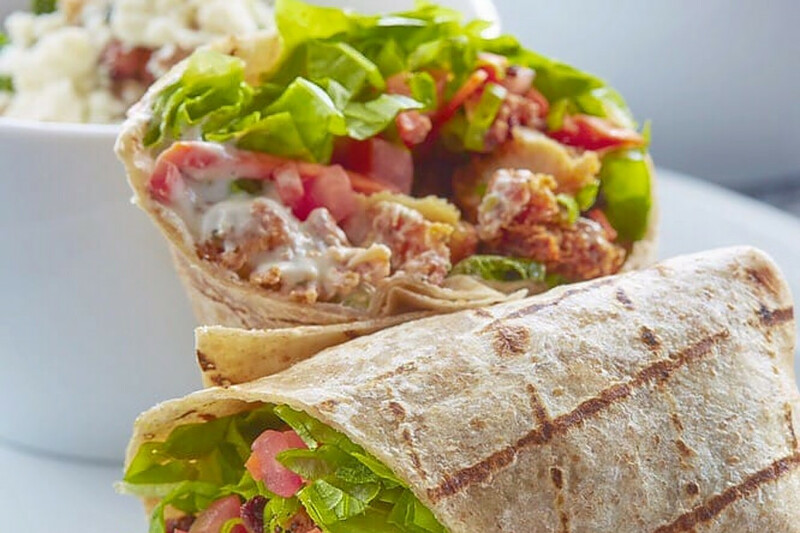 Open for business at 1900 Abrams Parkway since 2015, the business offers healthy fare like salads and wraps. 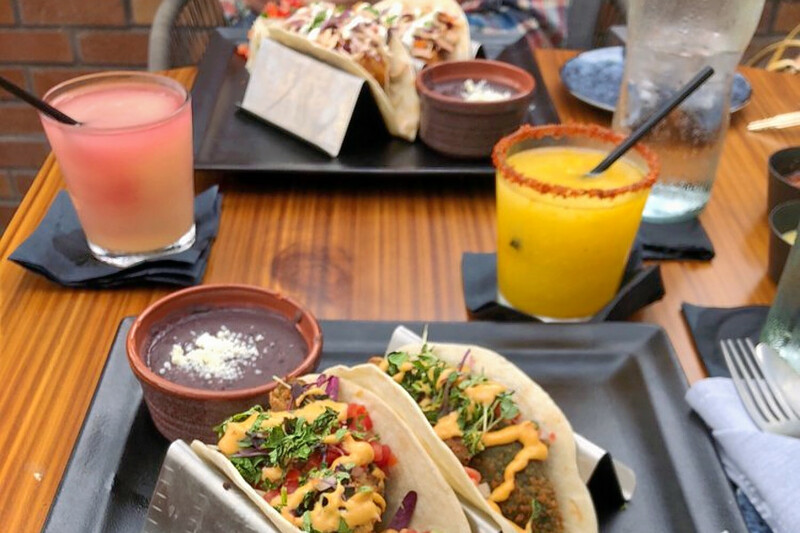 Menu standouts include the Clubhouse wrap (roasted turkey, pepper bacon, lettuce, garden sprouts, tomato, avocado and Harissa crema), the Southwestern fajita steak (peppers, onions, red cabbage, hominy, pico de gallo, cotija, avocado and salsa) and the grilled sweet corn as a side.